Following the surprise win of Prime Minister Benjamin Netanyahu’s Likud party, a spokesman for Iran’s Foreign Ministry said that there is no difference between the Israeli political parties. “For us there is no difference between the Zionist regime’s political parties. They are all aggressors in nature,” Marizeh Afkham, a spokesman for Iran’s Foreign Ministry, told reporters at a weekly news conference in Tehran, the semi-official Mehr News Agency reports. Hamas also said it made no difference who won the election as all of them deny the Palestinian people their rights. "Palestinian resistance is strong and capable of making its mark. The leaders of the occupation must think again about their stances after the failure in Gaza," said Hamas spokesman Sami Abu-Zuhri. 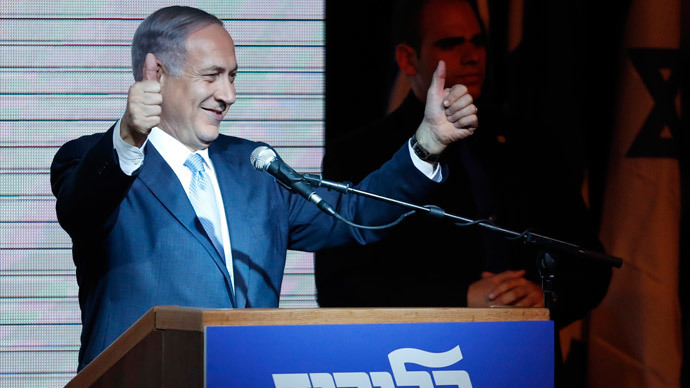 Netanyahu’s campaign focused mainly on security issues, such as the threat from Iran’s nuclear program as well as the Palestinian issue and had initially won little support from voters. Netanyahu had even warned US President Barak Obama’s administration that it was negotiating “a bad deal” with Iran over its nuclear program. Whereas the Zionist Union, Netanyahu’s principle opposition, campaigned on the lack of housing and the cost of living in Israel, and initially appeared to be in the lead.